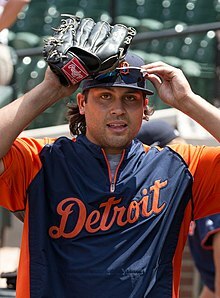 Matthew P. Tuiasosopo (born May 10, 1986) is an American former professional baseball utility player and current Manager for the A Rome Braves. He played in Major League Baseball (MLB) for the Seattle Mariners, Detroit Tigers and Atlanta Braves. Tuiasosopo played for the Woodinville West Little League at the 1998 Little League Western Regional Tournament in San Bernardino, California. Woodinville West lost to Cypress Federal in a championship game that lasted 7 innings. This is the farthest WWLL has made it into the Little League All Star Tournament. Tuiasosopo signed a professional baseball contract after graduating from Woodinville High School. Although he chose baseball, Tuiasosopo had a promising high school football career. He was selected to play in the 2004 U.S. Army All-American Bowl. Before signing as a professional baseball player, he signed a letter of intent to play football at the University of Washington. The Seattle Mariners drafted Tuiasosopo 93rd overall in the third round in the 2004 Major League Baseball Draft. He began his pro career with the Peoria Mariners in 2004, hitting a solo home run in first career-at bat on July 10. Tuiasosopo hit safely in 18 of 20 games and reached base safely in 19 of 20 games. He had a 13-game hit streak, hitting .467 from July 10–25, and tied for the team lead in home runs with four. On August 5, he was promoted to the Everett AquaSox. At the end of the season, he participated in the 2004 Arizona Instructional League. In 2005, he was with Seattle's Low-A affiliate, the Wisconsin Timber Rattlers. He hit .276 with three home runs and 45 runs batted in. He was ranked number 36 on Minor League News' annual Fab 50. He recorded a season-high 13-game hitting streak to start the season, batting .423 with eight runs, three doubles, two home runs and 12 RBIs during that time. Tuiasosopo had 27 multi-hit games, three four-hit games and six three-hit games. He hit home runs in back-to-back games on June 9 and 10. In 2006, he split time between the Mariners' High-A Inland Empire 66ers and Double-A San Antonio Missions affiliates. He batted a combined .248 with two home runs and 44 RBI. He played with the Peoria Javelinas of the Arizona Fall League that fall. He hit .306 with one home run with 34 RBIs, 31 runs scored and five stolen bases in 59 games with Inland Empire but only batted .185 with one home run, 16 runs scored and 10 RBIs with San Antonio. 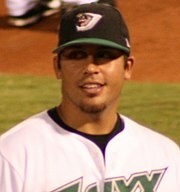 Tuiasosopo spent the 2007 season with the Double-A West Tenn Diamond Jaxx. He hit .424 with eight runs, five doubles and three RBIs during a season-high 10-game hitting streak from April 5–14. He recorded a double in five consecutive games from April 6-1. He was named to the Southern League All-Star team and later that season played for the Peoria Javelinas in the Arizona Fall League. At the end of the 2007 campaign Tuiasosopo was rated as the Mariners No. 10 prospect by Baseball America. He was named to the Minor League News Fab 50 again in 2007. Until September 2008 he was playing with the Triple-A Tacoma Rainiers. On September 5, 2008, he collected his first major league hit, a double, against pitcher Andy Pettitte of the New York Yankees while playing for the Seattle Mariners. 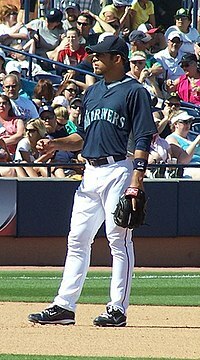 He finished the 2008 season batting .281 with Tacoma and .159 with the Mariners. He made the 2009 Opening Day roster for the Mariners. On July 4, 2009 Tuiasosopo made his first rehab start with the AZL Mariners. Tuiasosopo was activated soon after the All-Star break. Tuiasosopo hit two home runs against the Portland Beavers on August 28 helping the Rainiers to their seventh straight victory. He finished the season batting .261 with 11 home runs and 35 RBIs in 59 games for the Rainiers. In four playoff games, he batted .313 with one home run and four RBIs. — Matt Tuiasosopo, mariners.com: September 15, 2009. On September 27, during the pre-game show on 710 ESPN Radio, color man Mike Blowers predicted that Tuiasosopo would hit his first major league home run in his second at bat of the game on a 3–1 fastball into the left center field second level of Rogers Centre. Sure enough, in the fifth inning of their game against the Toronto Blue Jays, Tuiasosopo delivered, although the home run went above the left field bullpen on technically what is the first level of the stadium. Tuiasosopo played in 50 games in the major leagues with the Seattle Mariners during the 2010 season. He has played his first major league games at shortstop, first base, and in the outfield. Tuiasosopo spent the 2011 season with the Triple-A Tacoma Rainiers. Tuiasosopo signed a minor league contract with the New York Mets on January 27, 2012, and spent the season with the Triple-A Buffalo Bisons. Tuiasosopo signed a minor league contract with the Detroit Tigers on December 6, 2012. On March 26, 2013, citing an impressive spring that saw Tuiasosopo hit .327 with four home runs and 10 RBIs, Tigers manager Jim Leyland announced that Tuiasosopo had made the major league team. After a good start to the season, Tuiasosopo landed on the 15-day disabled list (DL) on June 21. He returned from the DL on July 5. On the season, Matt appeared in 81 games for the Tigers, hitting .244 with 7 home runs and 30 RBIs. In November 2013, Tuiasosopo was claimed off waivers by the Arizona Diamondbacks. On March 20, 2014, Tuiasosopo was again claimed off waivers, this time by the Toronto Blue Jays. He was assigned outright to the Triple-A Buffalo Bisons on March 28, 2014. On June 12, the Blue Jays traded Tuiasosopo to the Chicago White Sox for cash considerations. On December 16, 2014 Tuiasosopo signed a minor league contract with the Baltimore Orioles. He was released in March 2015 and signed with the Chicago White Sox on April 3, 2015. On November 24, 2015, Tuiasosopo signed a minor league contract with the Atlanta Braves. In May 2016, Tuiasosopo was promoted to the major leagues by the Braves, making his debut on May 4. He was designated for assignment on May 9. He resigned on October 21, 2016. He elected free agency on November 6, 2017. Tuiasosopo spent the entire 2017 season in the minors with the Gwinnett Braves of the Triple-A International League, playing in 114 games. On July 20, he made his first career pitching appearance in his 1,243rd minor league game, striking out two batters in a scoreless ninth inning against the Indianapolis Indians at Coolray Field. On May 21, 2018, Tuiasosopo signed with the New Britain Bees of the independent Atlantic League of Professional Baseball. He announced his retirement from professional baseball on August 20, 2018. Tuiasosopo was named manager of the Rome Braves, the Class A minor league affiliate of the Atlanta Braves, for the 2019 season. Tuiasosopo is the younger brother of Marques and Zach, and the son of Manu Tuiasosopo. His father and brothers played college football in the Pac-10 Conference; Manu at UCLA and his two older brothers at Washington in Seattle. Their older sister Leslie played volleyball at Washington, and is currently an assistant coach for the Huskies under head coach Jim McLaughlin. Tuiasosopo's brother-in-law is Micah Owings. He is a cousin of Ronaiah Tuiasosopo, perpetrator of the Manti Te'o girlfriend hoax. ^ Call of the Year Shannon Drayer, mynorthwest.com, 28 September 2009. ^ Sipple, George (March 26, 2013). "Rick Porcello wins Tigers' No. 5 starter role; Matt Tuiasosopo makes team". Detroit Free Press. Retrieved March 26, 2013. ^ Schmehl, James. "Tigers place Matt Tuiasosopo on 15-day DL with rib-cage strain, recall outfielder Avisail Garcia". MLive.com. Retrieved 7 July 2013. ^ "July 2013 Transactions". MLB.com. Tigers.com. Retrieved July 30, 2013. ^ Kennedy, Brendan (March 23, 2014). "Blue Jays jobs still up for grabs a week before season opener". Toromto Star. Retrieved July 16, 2015. ^ "Matt Tuiasosopo outrighted to Buffalo". bluebirdbanter.com. March 29, 2014. Retrieved March 29, 2014. ^ "Sanchez to make Bisons debut Saturday". MILB.com. June 12, 2014. ^ Simon, Andrew (December 16, 2014). "Orioles sign three to Minor League deals". MLB.com. Retrieved July 16, 2015. ^ Eddy, Matt (April 6, 2015). "Minor League Transactions: March 27-April 2". Baseball America. Retrieved July 16, 2015. ^ "Scoreboard". Duluth News Tribune. April 3, 2015. Retrieved July 16, 2015. ^ Todd, Jeff (November 24, 2015). "Braves Sign David Carpenter, Nine Others To Minors Deals". mlbtraderumors.com. Retrieved November 24, 2015. ^ Bowman, Mark (May 9, 2016). "Beckham re-activated, Tuiasosopo optioned". MLB.com. Retrieved May 11, 2016. ^ "G-Braves Buried Early in Loss to Indians". MiLB.com. Retrieved 2018-01-09. ^ "Former Major Leaguer Tuiasosopo Signs with Bees". New Britain Bees. May 21, 2018. Retrieved May 21, 2018. ^ "2019 Rome Braves Field Staff Announced". MiLB.com. January 2, 2019. Retrieved January 2, 2019. ^ "Leslie Gabriel". University of Washington Athletics. September 19, 2014. Archived from the original on October 12, 2014. ^ Johns, Greg (March 19, 2011). "Tuiasosopo faces future in-law on diamond". MLB.com. Retrieved April 19, 2014.